Rewilding Europe now offers the perfect opportunity to anyone that loves and cares about wildlife! In a minute, you can become a vital part of Making Europe a Wilder Place, either by giving one of these gifts away, or putting them high on your own wish list. Would you like to help bring back endangered wildlife, help restore their ecological roles and support actions to limit man and wildlife conflict in Europe? You have the opportunity to help to bringing back three emblematic animals for the wildlife’s comeback in Europe: European bison, suslik and Marsican bear. Help these hairy beasts roam free! European bison in the Tarcu mountains. 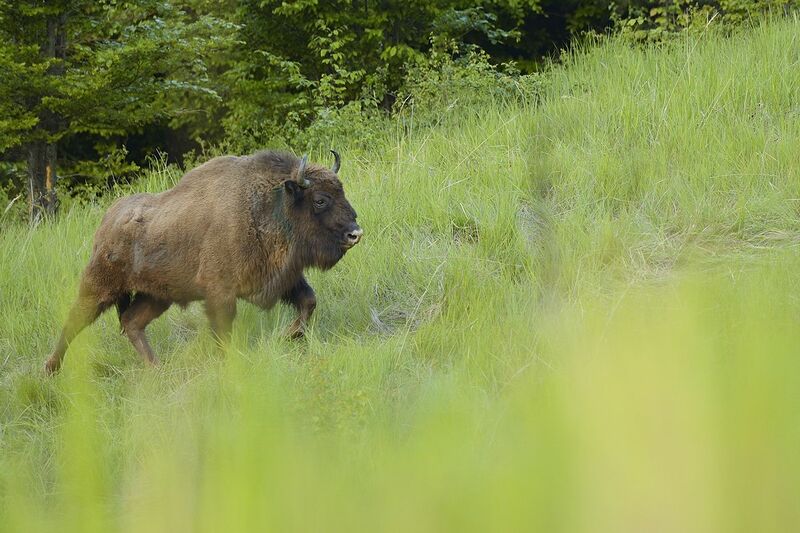 Help us bring European bison back to where they once belonged. This is an animal that in the wild is more rare than the black rhino in Africa! We will get the bison from quality breeders, bring them to our rewilding release sites and let these herds have their freedom in the wild, as part of a major reintroduction and repopulation programme. The European bison is our continent’s largest wild land mammal. It was hunted to complete extinction in the wild, but luckily a few individuals survived in zoos. When their numbers were at the lowest, there were only 54 bison left remaining and now, after many decades of breeding and reintroduction work, there just over 5,000 European bison, whereof about 3,500 of them live in the wild. The bison is not only endangered and in strong need of more space to roam, it is also what is called a “keystone” species in Europe’s ecosystems. Its grazing and browsing pressure opens up bush land into open mosaic landscapes and its trampling and manure creates space for hundreds of other species. The bison is simply a biodiversity enforcer that we really need out there! Maybe even in a forest near you? Altogether, this reintroduction work costs about 4,000 euro per bison. If you pay for a whole bison, you are invited to experience their release on location as our special guest! All you have to do is travel to Armenis and we will take care of the rest. But you can also contribute smaller amounts. For 1,000 euro, you will get free personal guided tour (maximum 5 people) to see the bison in the wild with one of our bison rangers. If you give a smaller amount, this will help us feeding the bison during transport and acclimatisation in the release area. For contributions smaller than that but over 300 euro, we will send you a nice box with a limited edition bison T-Shirt, as well as a selection of local products from the Tarcu Mountains bison release area in the Southern Carpathians, Romania. This is also a way to help local people there realise that bison actually means business, also for the beekeeper and fruit farmer. All donors will be able to download a gift certificate. Our target: 5 bison, which means 20,000 euro. Buy a plot of land for the adorable susliks! Suslik or European ground Squirrel, Eastern Rhodope mountains, Bulgaria. Help us to help these crucially important (and cute!) little creatures to come back in numbers and to re-colonise lands where they used to live, in the foothills of the Rhodope Mountains of Bulgaria. Susliks, or European ground squirrels, are vitally important to a wide range of rare raptors and predators, but they have increasingly disappeared over the last decades. When they disappear, so do also a long row of birds of prey that are dependent on the susliks. We are now buying up parcels of land that is of top value for the suslik colonies, to make sure these keystone animals thrive and can spread back also to their old grounds. In some parts of the area, these ground squirrels are disappearing because there are no large herbivores grazing there anymore, neither domestic nor wild, whilst in other parts of the area they disappear because of the ploughing up of suslik habitat – often a result of harmful EU farming subsidies, leading to pretended “farming” on pasture lands that have never been ploughed before! The suslik is one of the keystone species in the dry steppe ecosystems. 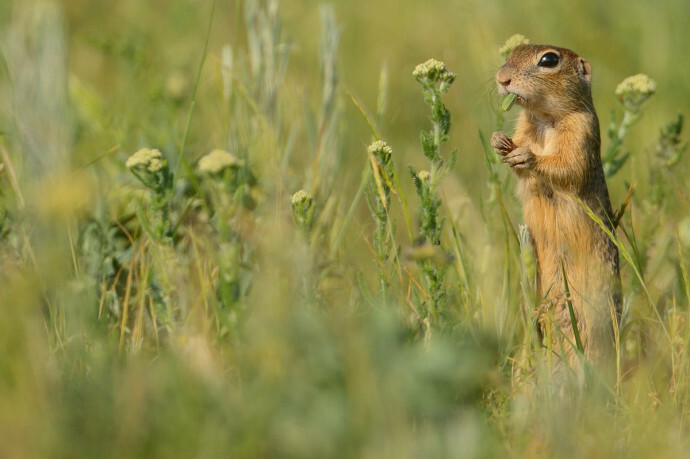 They are small ground squirrels that live in colonies in holes in the ground, right out on the open steppe. When these sweet ground squirrels disappear, so do to a great extent also the predators that feed on them. The result is that biodiversity, the variety of life declines. Buying core suslik homeland here costs about 2,500 euro per hectare. Land is being bought by the Rewilding Rhodopes initiative. If you pay for at least 1 hectare, we will take you there on a 3-day trip around the area to see them. All you have to do is get to the Rhodopes and we will take care of the rest. For at least 1,000 euro we will arrange a very generous discount for you on an adventure trip here. For contributions smaller than that but over 300 euro, we will send you a box with a limited edition T-shirt, a copy of the Crossbill nature travel guide about the Rhodope Mountains in Bulgaria and Greece together with some local products. Or from any amount over 100 euro, you will get your own limited edition suslik T-shirt sent to your home. All donors will be able to download a gift certificate. Our target: 25,000 euro = 10 hectares of core suslik habitat. Save a rare Marsican bear in Italy! 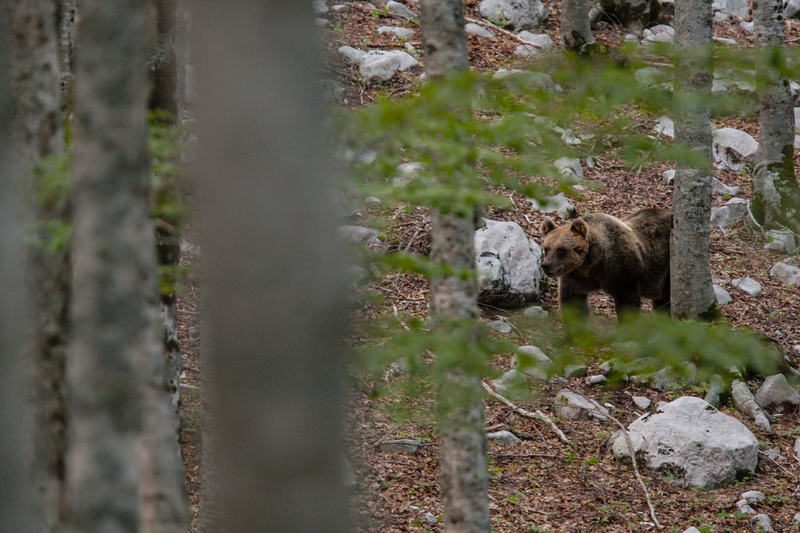 You can help us save three unique Marsican bears, an endemic subspecies of the brown bear that today only exists in a small area in the Central Apennines in Italy, just 2 hours from Rome. Only some 50 of these bears still survive and any dead bear means a huge damage for the survival of this subspecies. We need to fund further actions to help them avoid being killed. A crucial tool is to provide local beekeepers and farmers with electric fencing, to keep the bears out of their beehives and chicken coops, and these are urgently needed! Especially in the village of Pettorano sul Gizio, which is situated in the middle of the ecological corridor between the Abruzzo, Lazio e Molise National Park and the Majella National Park, the situation is urgent. This area is very important for the bears’ opportunities to spread into the Majella National Park where they used to roam in older times. We want to help the villagers to live with bears passing through, but without having to suffer from it and rather be able to enjoy it. The village is situated in a part of the Monte Genzana Regional Reserve, but the protected area authority has very little funding to handle exceptional events like these. So far, 20 electric fences have already been provided by Rewilding Apennines, with technical support through our locally employed Bear Advocates. The result has been that the villagers now don’t feel left alone to tackle the problems and they see that we are really helping them in coping with this new emergency. But more funding is now needed for at least 40 more fences in order to cover all the potential targets of the bears, in the village and the nearby farms. The cost for a fence of average length, including mounting it is about 300 Euro and we need 40 more such fences, to make sure the problem is solved for the villagers, which means we need 12,000 euro for it. So, in short, to save a bear around this village costs about 4,000 euro each. If you pay to save one bear, we will invite you in on a bear adventure there to try to see it, and why not during the colourful Melonia Apple Harvest Festival? Donate half of that amount and we will arrange a very generous discount for you on a bear adventure here. If you pay for one of the fences (300 euro), we will send you a jar of locally produced, bear-friendly jam or honey. All donors will be able to download a gift certificate.